Fat Rope yarn is made of 100% finest extrafine merino wool. This yarn has a rope-like structure and it is giant. This is best for knitting with hands or you can you 25-45mm needles / crochet hook. The wool originates from non-mulesing certified supplier which is one of the finest merino wools in the world. With this yarn you can create beautiful knits and outstanding knits. 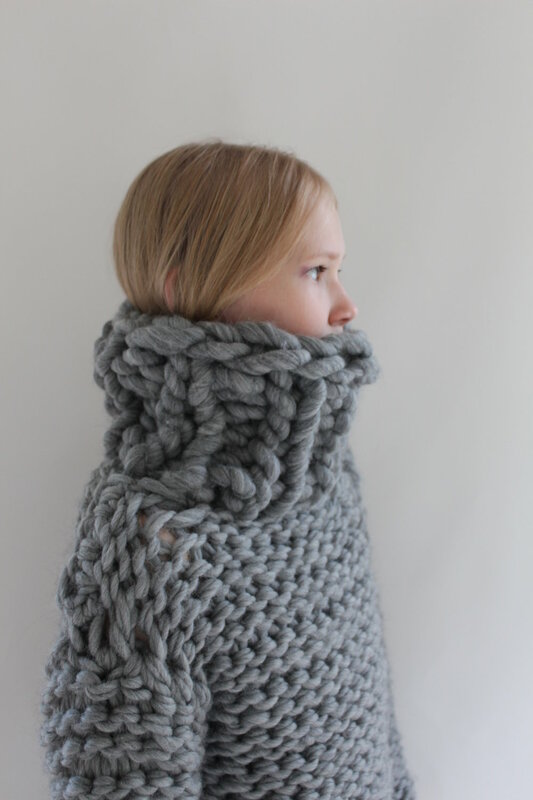 One skein is enough to make this collar in the photos. 500 grams of Fat Rope yarn equals about 25 meters.